*This story is an advertorial. If you call yourself a petrol head there are plenty of tools available that are essential to your workshop setup. Here’s our list of must-haves to put in your letter to Santa this year. If you’re going to work on the undercarriage of a car you’ll need something you can rely on to hold those tons of metal and rubber. A good pair of axle stands with wide bases is a must. Not only is this a practical must, there’s just something about the look and feel of being able to slide right under the car and poke around that makes you feel like a pro. Save space and time by storing your tools in a mobile worktable so even when you don’t have quite what you need laid out next to you, it’s just a quick rifle through the drawers away. There are good models available cheap from SGS. A real petrol head knows two things about engines: the one you have now isn’t good enough, and they’re heavy enough that you’re not making the switch without some serious purpose-built hardware. 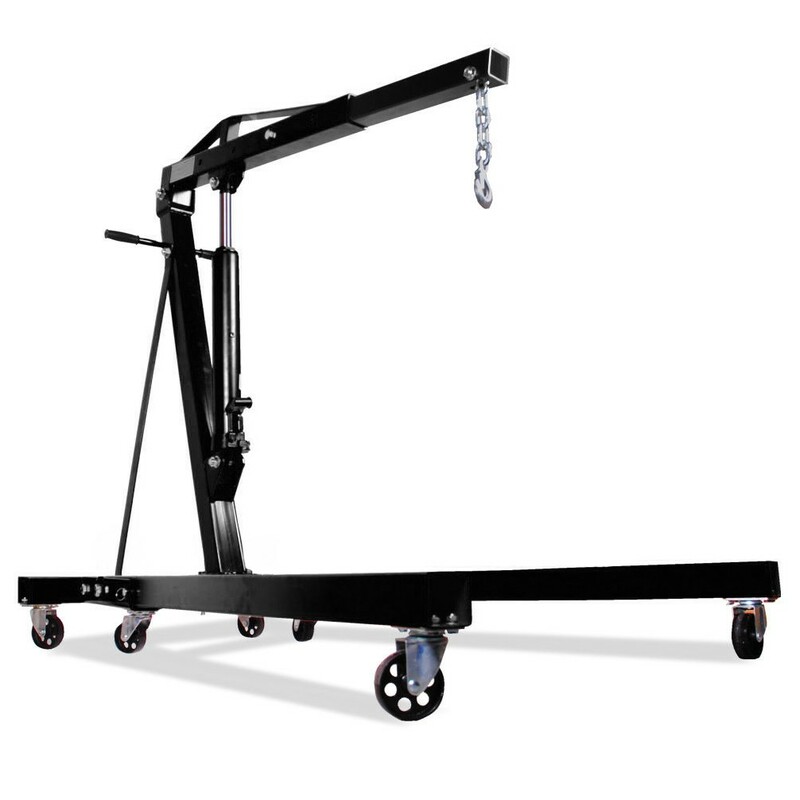 A decent crane, hoist, or lift can let you go a step further in modding your machine. A good under-hood light lets you see right into the car’s workings no matter where you are. We recommend the Bayco Nightstick. It’s rechargeable and its versatile shape means it works as an under-car light too. Not as scary as it sounds, this handy little device is great if you’re working on older cars. A good splitter will let you free bolts from rusted or otherwise uncooperative nuts without damaging the threads. Great for getting into tight spaces or just getting some extra leverage, extenders for your basic tools can really give you more options in your home garage. One example is the Tite-Reach. You can also get integrated versions like crows foot wrenches. They’re not exactly a heavy-duty power tool, but you can’t deny their usefulness. Even the best of us can get turned around and lose track of just what goes where and having sizes simply written on sockets can be a real time saver. Insulated pliers let you keep a firm grip on sparkplugs without risking damage to the boots or wires. We recommend the Lisle No. 52990 model. As we said before, cars are pretty heavy, and before you rest it on your axle stands you’ll need to lift it up. You’re not doing that that with your bare hands, so a hydraulic trolley jack is a great solution. They’re mobile, powerful and not too expensive.